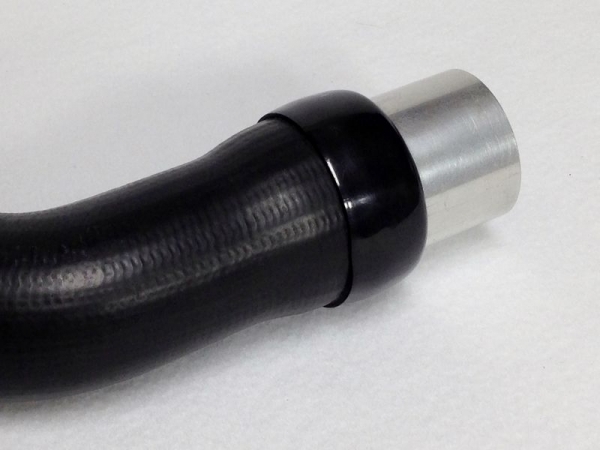 These aircraft quality sleeves offer high temperature protection in an easy slip on sleeve. 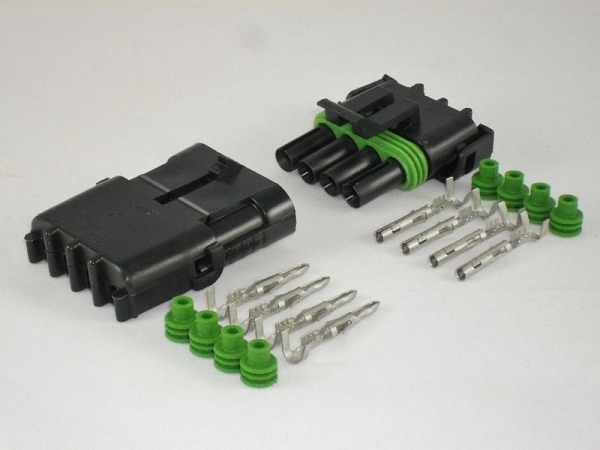 Extends the life of expensive spark plug wires and boots. 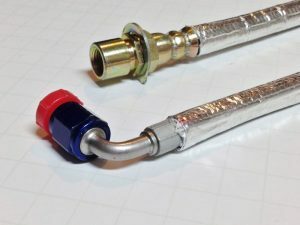 Prevent excessive heat generated by exhaust headers from hardening and cracking of ignition wires and boots that will lead to engine misfire and robbing horsepower. 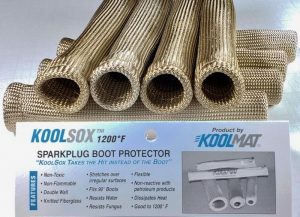 Just slip these 1″ diameter double wall fiberglass sleeves over any spark plug boot to protect them from high exhaust temperatures up to 1,200°F. Slip the sewn end over the spark plug for maximum protection. Fits most Hot Rods, Classics, and Hi Performance cars wither it’s Chevy, Ford, Oldsmobile, Pontiac, Buick, or Mopar. Hard working trucks, RV’s Motor Homes have high exhaust temperatures from being under constant load. 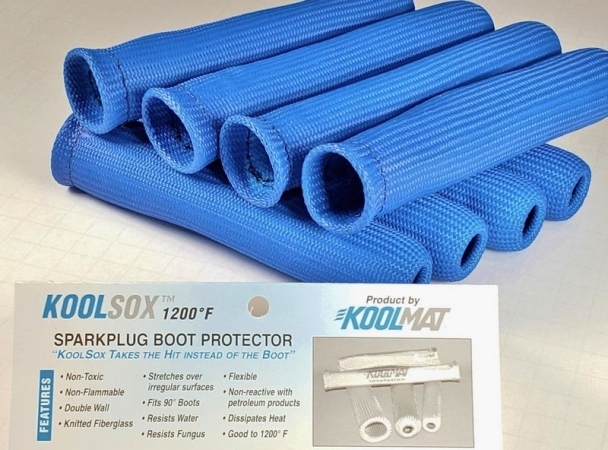 Take advantage of the benefits of protecting spark plug boots with KoolSoxs. 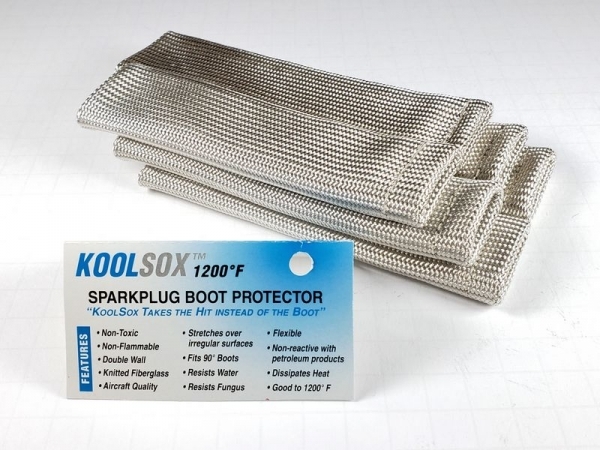 KoolSox Spark Plug Boot Insulators are non-conductive and resist all engine chemicals. 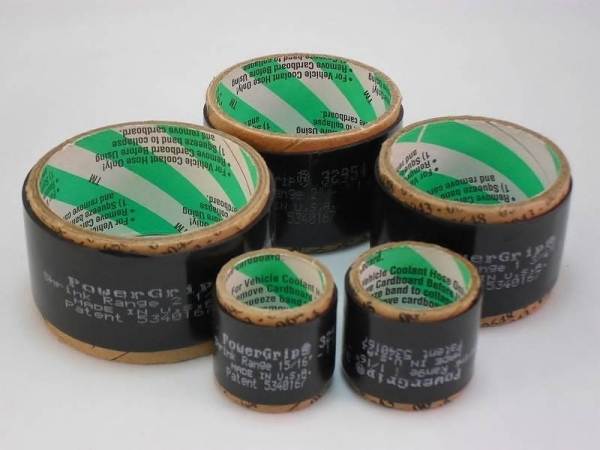 BFG is an extremely high temperature resistant sleeve commonly used as thermal protection for wires, cables, fuel lines, plug wires and hoses that are exposed to continuous high temperature such as high performance engine compartments and around exhaust systems. 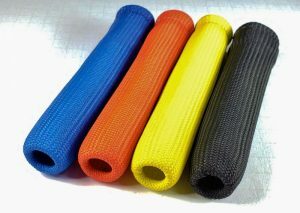 It is tough and durable and maintains a tight weave under vibration, abrasion, and mechanical stress and temperature variations. 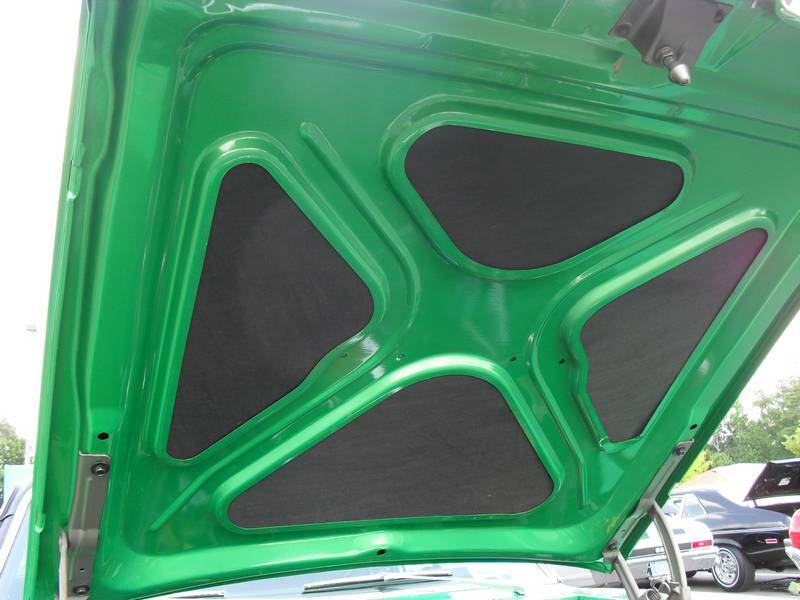 Besides the thermal protection, it makes any engine compartment look great. 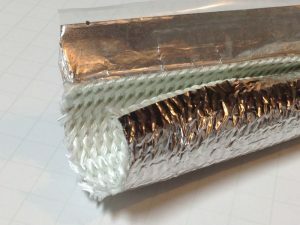 BFG Sleeving is a tightly woven, flexible, continuous filament E Glass braid that is heat treated to remove all organic matter and then saturated with an acrylic binder. 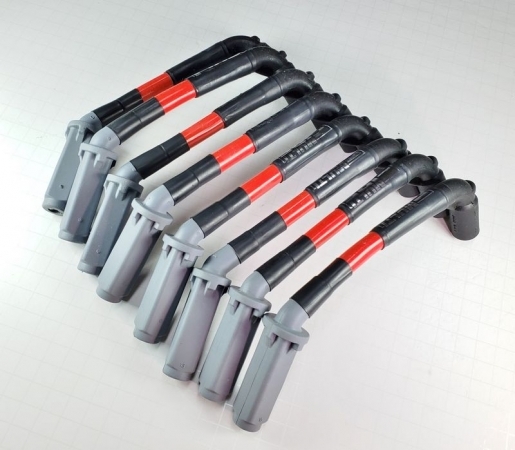 This binds the fibers to provide excellent fray resistance in cutting. 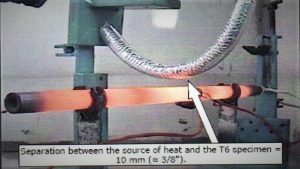 BFG Sleeving provides thermal insulation at temperatures from -74°F up to 1200°F and has a continuous operating temperature of 850°F. 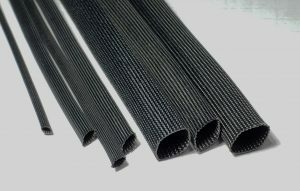 BFG Sleeving is used in high temperature applications and wherever repeated flexing or temperature extremes prohibit the use of other materials. It’s expandability and flexibility enables it to slip over irregular shapes. Specialty Automotive Materials takes pride that we can offer great America products, made by great America companies. Been that way since our start in 2009. 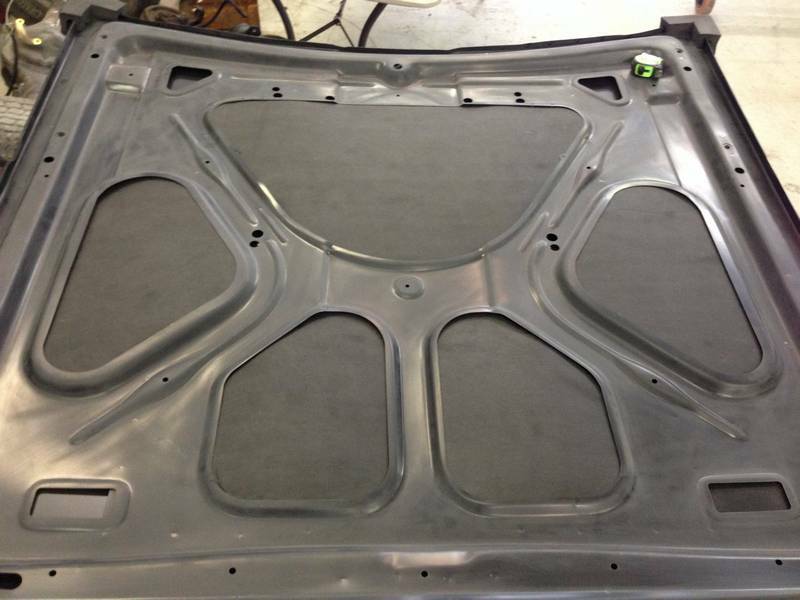 Another happy customer with SharkSkin Hood Liner. 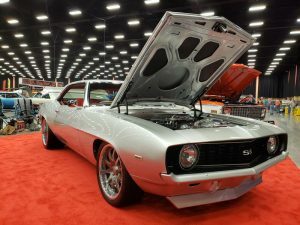 I was admiring Darryl Reed’s 69 Camaro at the Rod Run in Pigeon Forge. Super nice car and my favorite color combination, Silver and red. 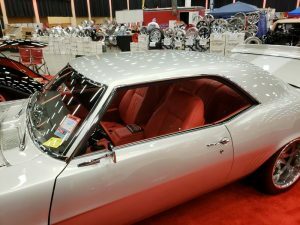 Asked Darryl if he had seen my SharkSkin Hood insulation kit and showed he the one for his 69 Camaro. He told me that he had been looking for something to fill the cavities under the hood. Darryl was very excited about the SharkSkin. We installed them right then and there in about 5 minutes. It really finished off under the hood for the rest of the show. Darryl told me that he had done most of the work on the car. That to me is special. The Run Rod brings in a lot very well built cars. Darryl car stood tall among the cars he was competing against. 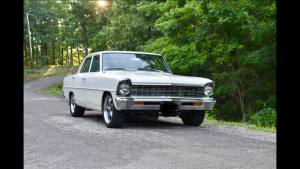 I have attached some pics of my 1967 Chevy II 4 Dr. This car was purchased new by my great grandfather on 8-21-67, then passed on to my grandfather, then on to me in 1997. When I got the car in 1997 it had 29,000 original miles. For the last 21 years I only put 2,000 miles on it. 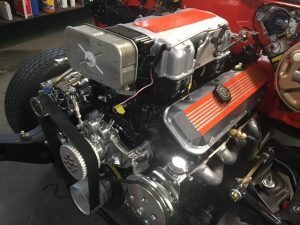 In January of this year, I decided to do a complete sleeper upgrade with a new LS3 (495hp) full powertrain, Church Boys Racing components, all new suspension and brakes, and a full list of other upgrades. The exterior is all original except for being repainted in 1990. 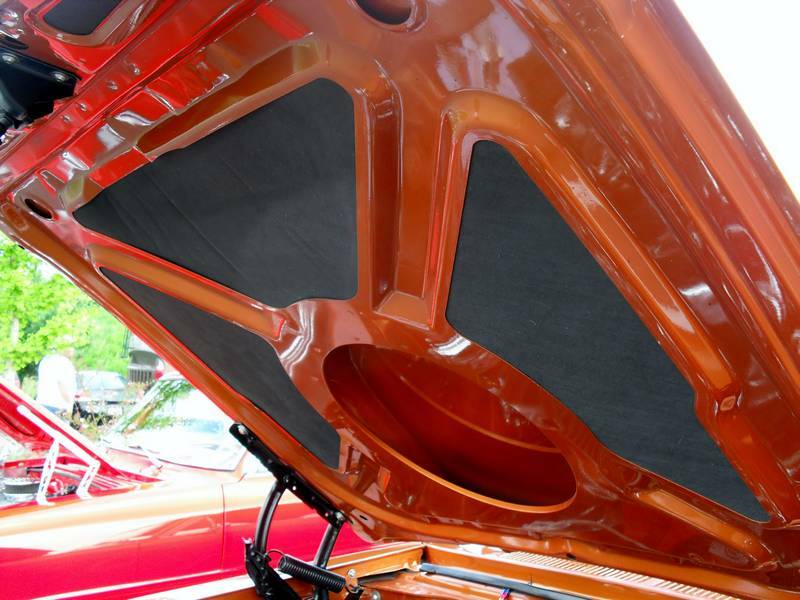 The new engine compartment, including your Sharkskin underhood panels that worked absolutely perfect. 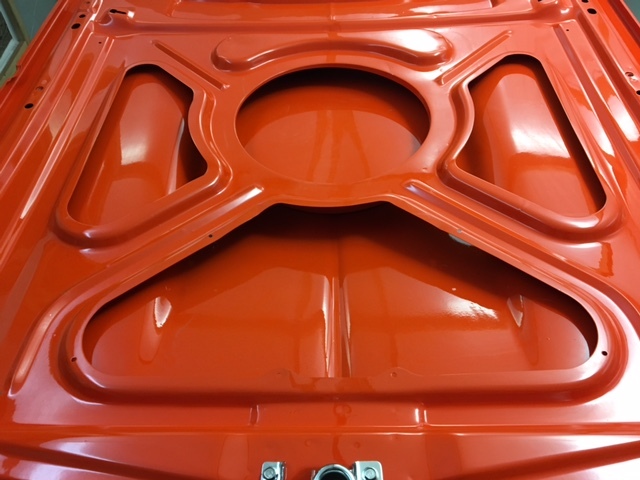 Your panels gave my car the finishing touch it needed under the hood…..has the classic look that’s close to stock and looks very clean! Obviously this car has a lot of sentimental value, and now, it’s a freakin’ blast to drive. 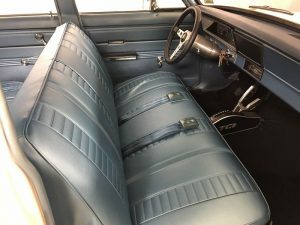 Thanks again for making a great product and thanks for showing an interest in taking a look at my Chevy II. Hi, just installed the SharkSkin Hoodliner on my 66 L79 Nova – it installed easily and looks fantastic. Great product! We added 2 inner frame rails Z Cool heat shields to further reduce heat entering the cockpit and console. 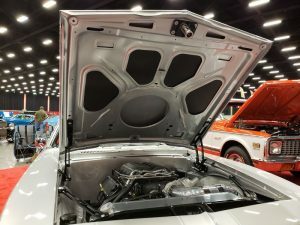 There is a lot of buzz on the Corvette Forum thanks to a couple of their members and I appreciate it. Those same guys are testing these products hope to hear back from them soon. 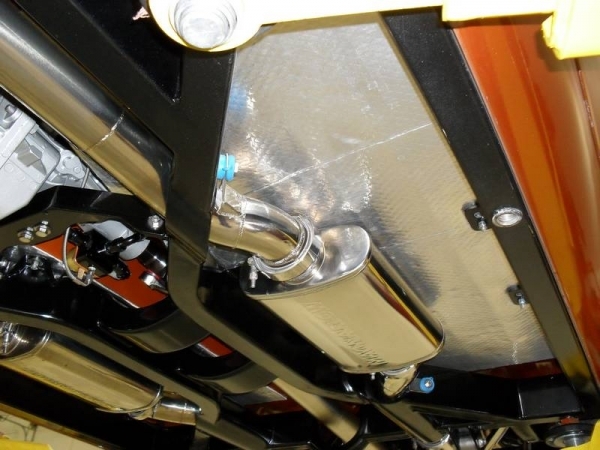 The highly reflective aluminized exterior, combined with the insulating braided fiberglass interior, protects delicate wire bundles, cables and lines from damage caused by nearby exhaust pipes, headers or other heat generating components. 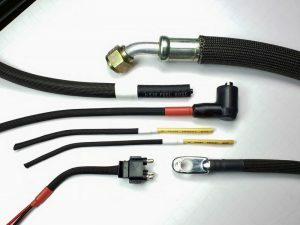 Engine/Wire harnesses, Control Cables, Sensor Wires, Fuel Lines, Brake Lines can all benefit from the reduced temperatures. Preventing premature failures and breakdowns on the side of the road. Ever have a vapor lock, ThermaFlex can solve that problem as well as many others. 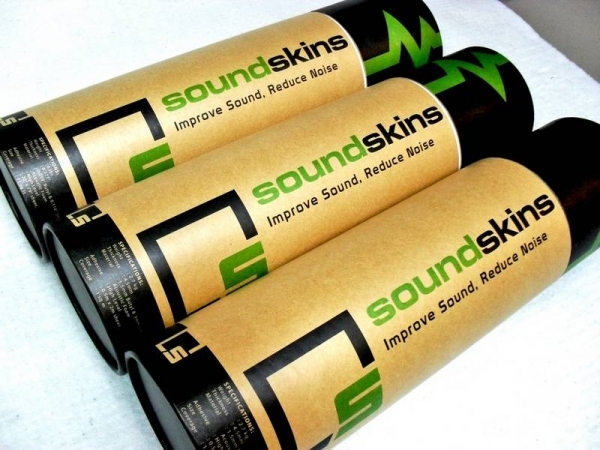 Protect your components by reducing heat transfer up to 50%. Ready for shipment. Thanks to Leonard, of North Carolina for helping us with the patterns. 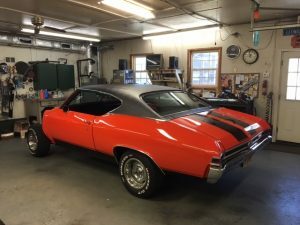 Here is Leonard’s Chevelle he is working on. Putting a BBC EFI engine in it. Dakota digital dash with a American Auto Wire harness. Paint is Hugger Orange and used Cromax BC/CC and painted it his self. Leonard will update us with pictures when finished. 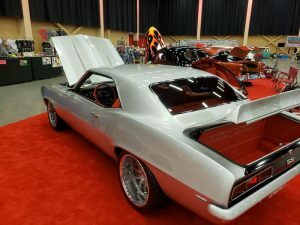 for the 67 – 69 Camaro. The black scrim face works great in any engine compartment. Very nice ‘finished’ look to compliment all your hard work. Hides the studs & nuts from the hood louvers on SS hoods. SharkSkin is 2.5 times denser by weight than the ‘ repop‘ type insulation. This is GREAT heat insulation and will help to absorb engine compartment noise. It will not slag or fray. Our hood insulation is shipped flat, not folded or crushed. CNC cut to insure a quality fit ever time. 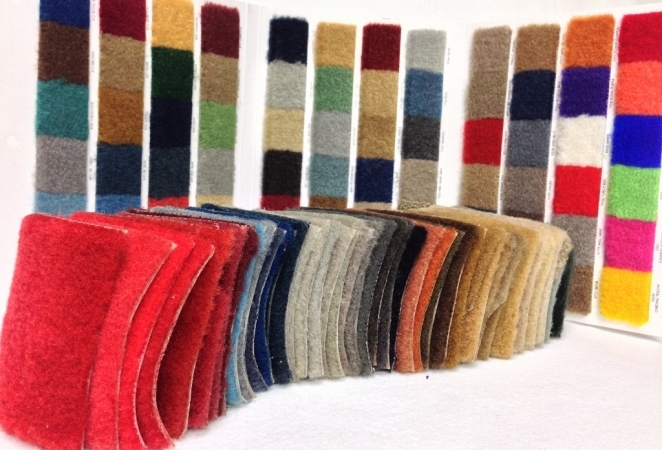 The Hushmat Ultra line of thermal & acoustical products are # 1 on the market. 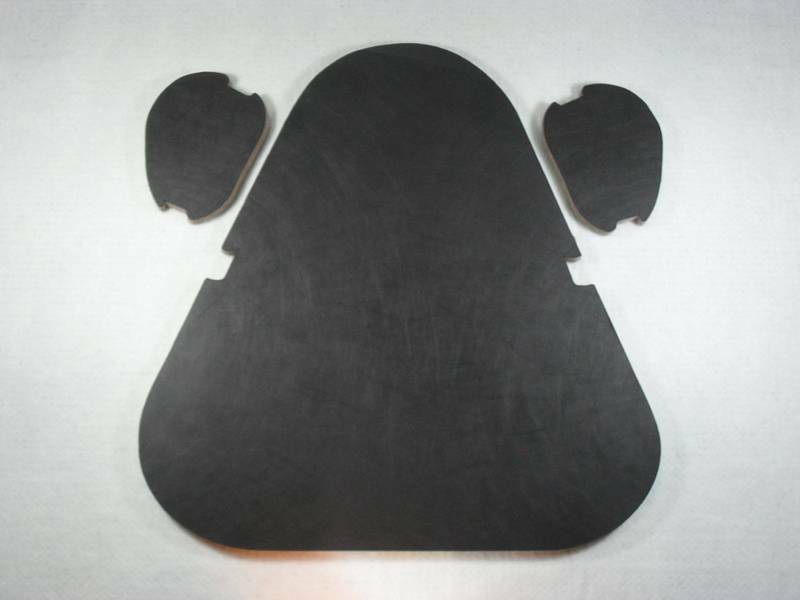 Specialty Automotive Materials is an authorized distributor in the Charlotte, NC area. We service restoration parts vendors, restoration shops, upholstery shops, and the guy that does the work himself. 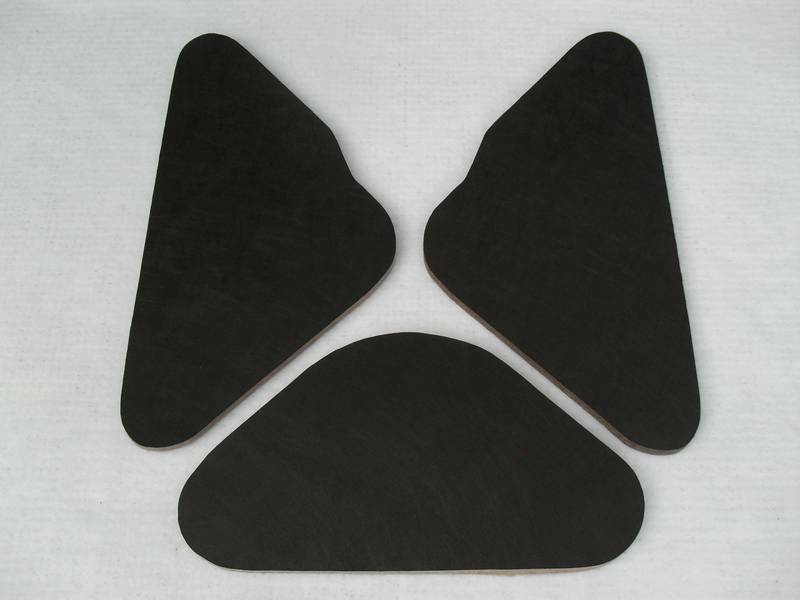 You can find the complete line Hushmat products under Acoustic / NVH Group category. 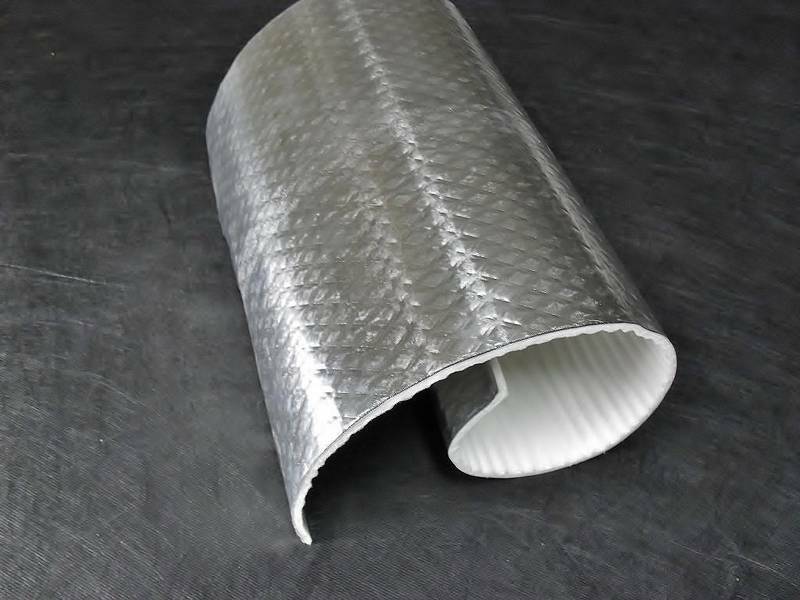 ZeroClearance® tunnel & under floor thermal insulation is a versatile 3 layer thermal shield product that has many uses. It is sold in 5 different size sheets to fit you needs. The SureStart Heat Shield is die cut to fit the mini starter. Its a must if you run headers. 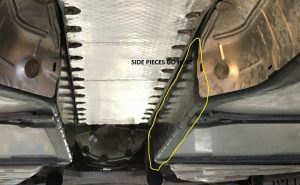 The Z/Cool Corvette tunnel shield is die cut for the C5 / C6 tunnel plate. Keeps heat out of the console area. Look under the Z Cool Heat Shield category. 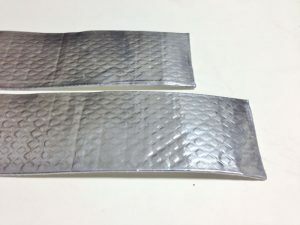 The SharkSkin Hood Insulation Material is far superior to the currently available replacement insulation being offered for the Chevelle’s & Nova’s. The black scrim face really finishes off the engine compartment that you have worked so hard on. You will find them under the SharkSkin Hood Insulation category. 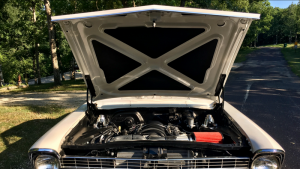 Fred, Installed the Sharkskin insulation today in my 1966 Nova hood and the panels fit absolutely perfect and they look awesome too. What a great new product!!! 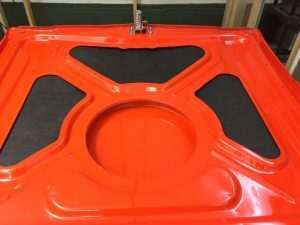 Initially thought I may need to use a silicone adhesive to secure the panels, however the fit very securely and none was needed. 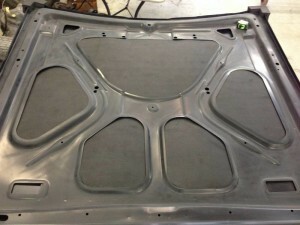 Once the hood is back on the car I will send pics. 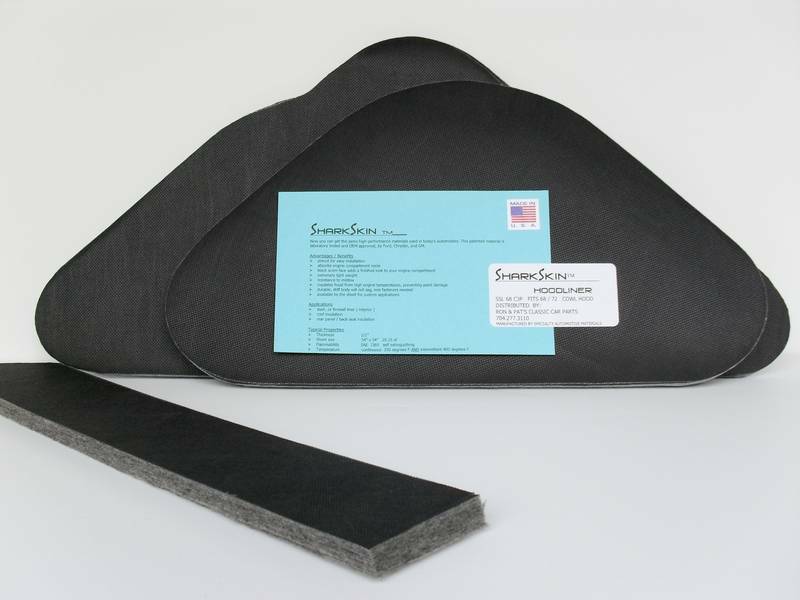 Specialty Automotive Materials is currently researching other popular models to produce the SharkSkin Hood Insulation kits for, if you have any suggests please contact us.